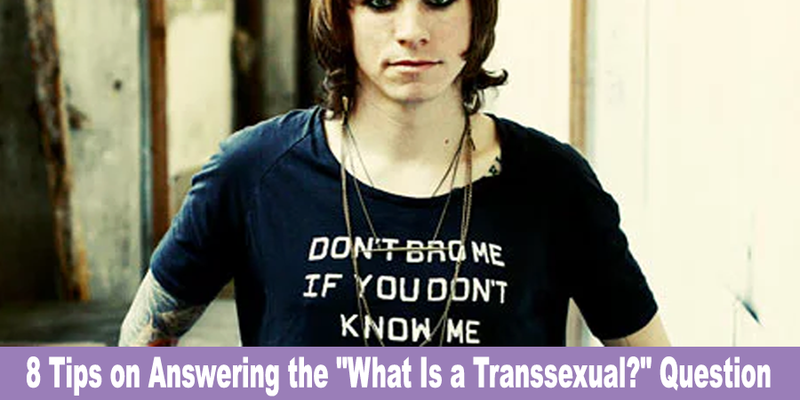 Within the trans community, there are a number of terms, such as “transgender” and “transsexual” that are often used interchangeably. However, there are important differences between each term that matter a great deal to trans individuals and their loved ones. Trans life presents many challenges, not the least of which is being asked questions you aren’t ready to answer or don’t know how to answer. In this article, learn 8 helpful tips for answering questions about trans life. Some experts prefer to deal with trans questions by keeping their answers direct, simple and brief. For example, if you are asked, “Are you transsexual?,” a simple “yes” or “no” is often all it takes to answer a question like this. If you do feel comfortable and/or willing to answer the question or to explain more fully if queried further, then starting with a simple, honest answer can sometimes be the best approach. There may be times when you are asked a question in such a way that you don’t feel comfortable answering it at all. Or perhaps the question isn’t the issue, but the questioner is someone you don’t want to share personal information with. In this case, using a technique called “deflection” where you answer a question with a question. In this case, you could either ask the questioner the same exact question that was just asked of you, or you could ask a different question that may have a similar effect. Sometimes, the only way to end a conversation is to physically depart. This may be necessary if you feel your personal safety may be in jeopardy, if the question is asked in a public place where your answers could be overhead by people you are not ready to share the information with, if you are not in an emotional place to get into a personal conversation or if the course of questioning doesn’t feel healthy to you. It is perfectly fine to simply walk away. You can just leave, or if the situation permits, you can share in a firm but kind voice that you are not able to discuss the questions further at this time. Under the right set of circumstances, such as when you are asked “What is a transsexual?” by a friend or family member who truly cares and wants to learn more, it can feel great to sit down and just take the time to answer the question more fully. Just remember that, just as it is their right to accept or refuse to answer personal questions, if you ever get to a point where you feel like you’ve shared all you are comfortable sharing, it is absolutely okay to thank them for asking and mention that you would like to continue the conversation another day instead. Thankfully, nationwide organizations like GLAAD (Gay & Lesbian Alliance Against Defamation) have provided the media and others with a list of preferred and non-preferred terms that can help promote open and honest discussions with people who identify as trans in any way. If you are asked a question using a term you don’t prefer or a term that is considered offensive by the greater trans community, you can gently correct the questioner before answering the question itself. Individuals who are just beginning to share their trans identity publicly can easily get “surprised” by questions they are not ready to answer. Here, it can be helpful to identify for yourself which questions you feel ready and able to answer and which are still off-limits. For instance, you may be willing to give a textbook definition of what constitutes an individual who identifies as a transsexual. But you may not be willing to share any personal details about your private life as a transsexual person. Knowing where this line falls for you personally can keep you from revealing too much, too soon, and especially help you keep private what you want to remain private. Mentoring and support is so important in the journey a trans person must take to live authentically in the public world. Having a supportive friend there to help field questions and model offering self-confident, polite yet firm answers can really make the difference as you learn to do the same. Another useful tip for answering questions is to defer to those who are willing to speak out publicly. By finding a celebrity advocate or expert who has already answered basic questions in a public forum and sharing their answers, you can provide an answer yet still protect your own privacy as well.